Dave has been using the FourSquare at his Small Strobe Big Results workshops all over the country. Showing his students how to control and modify the quality of light produced from a typical shoe mounted flash using many tools including the FourSquare. Dave shooting in Buffalo, NY using a single Nikon SB 800 in a FourSquare box boomed over the model. Two Nikon SB 800 with full CTO gels on the model back right and left. 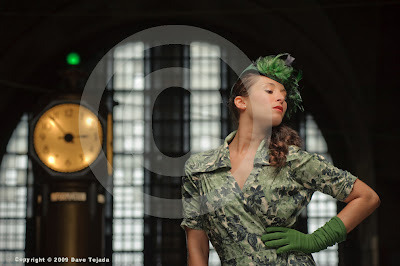 Using a single Nikon SB 800 in a FourSquare box boomed over the model. This is showing the set up with the FourSquare and a bounce fill below.